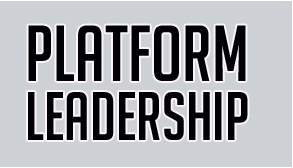 What is Platform Leadership ? In today’s business world, no company is an island. Straightforward supply chains of yesterday have given way to interconnected industry ecosystems. 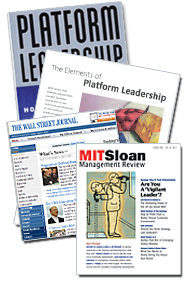 Platforms emerge, and with them, platform leaders, who drive coalitions of firms who innovate around a platform. Platforms are industry “building blocks” which attract other firms’ investment and innovation on add-on products or services. To compete and win in these ecosystems, firms need to learn new strategies. The emergence of platforms, -- be they used inside firms, across supply-chains, or as building-blocks that act as engines of innovation and redefine industrial architectures, -- is a novel phenomenon impacting most industries today, from products to services. Industry platforms such as Microsoft Windows or Google, embedded within industrial ecosystems, have redesigned our industrial landscapes, upset the balance of power between firms, fostered innovation, and raised new questions on competition and innovation. Platforms offer unprecedented opportunities but also new challenges to business managers, but also to scholars and regulators. 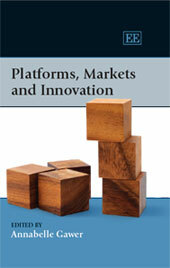 Annabelle Gawer's new book, Platforms, Markets and Innovation (Edward Elgar, 2009), is an edited volume, and the first book of its kind dedicated to the emerging field of platform research. It presents leading-edge contributions from 24 top international scholars from 19 universities across Europe, the USA, and Asia, from the disciplines of strategy, economics, innovation, organization studies, and knowledge management. The novel insights assembled in this volume constitute a fundamental step towards an empirically-based, nuanced understanding of the nature of platforms and the implications they hold for the evolution of industrial innovation. The book includes three sections: An overview of platforms; Platforms: open, closed, and governance issues; Management, design and knowledge issues. Click here for Notes on Book Contributors. Platform Leadership is at Shanghai 2010 World Expo for the Inaugural Innovation Week of the Rhone Alpes Region Pavilion. 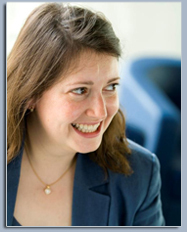 Dr. Annabelle Gawer, an Assistant Professor in Strategy and Innovation at Imperial College Business School in London, is internationally recognized as an expert and thought leader in high-tech strategy. Annabelle's pioneering research on platform leadership and ecosystem dynamics has led to a new understanding of the rules of high-tech industries, ranging from computers, telecoms, to electronics,and other industries. An award-winning Assistant Professor at Imperial Business School, Dr. Gawer teaches business strategy and management of technological innovation to Executive MBAs and full- time MBAs. She also conducts Executive Education workshops. Dr. Gawer activities in research, teaching, and consulting, continuously feed each other to facilitate the development of ideas, test their applicability and their limits, and push the frontier of knowledge in this area. She also coordinates an ambitious program aimed at facilitating and developing the creation of knowledge on platforms, as well as the diffusion of research-driven insights to business leaders. She is the “Co-Editor-in Chief” of “JSME,” the Journal of Strategic Management Education.